In a series of tweets sent out yesterday, Twitter CEO Jack Dorsey announced that the social network would be enlisting the help of outside experts to measure its health. Acknowledging that the network has become more divisive — abused and leveraged for judgment rather than conversation — Dorsey also spoke to Twitter’s own mishandling of how it has been weaponized. He considered its use for harassment, or for bot accounts created for the sole purpose of tweeting our controversial content. Twitter needs help, admitted Dorsey — who is now inviting experts to apply for funding to study its health metrics and potential solutions to these issues. We’re committing Twitter to help increase the collective health, openness, and civility of public conversation, and to hold ourselves publicly accountable towards progress. The request for proposals (RFP) comes after more than a year of heightened scrutiny over Twitter — as well as its other social media and online counterparts like Facebook and Google — for the alleged weaponization of the platform and its influence on the 2016 U.S. presidential election. Since then, the social network has continued to not only face backlash, but also address and remedy the issue of harassment, spam, bot presence, and the spread of misinformation and divisive content in a way that many users find less than satisfactory — which HubSpot’s own research has also found. 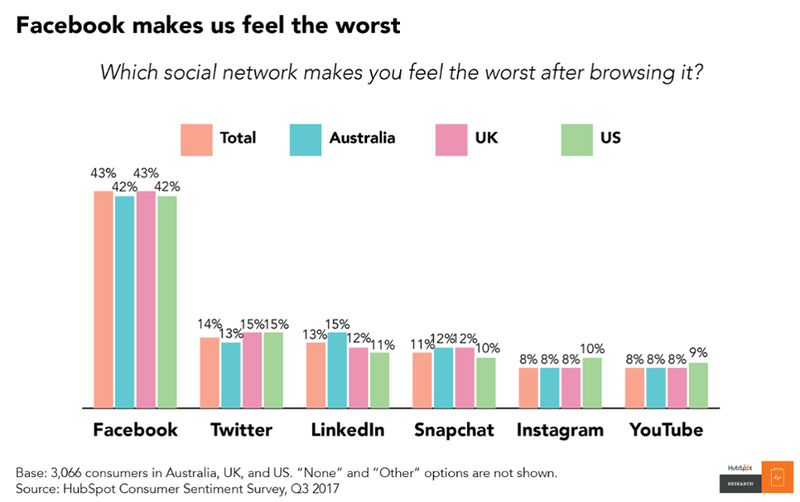 HubSpot’s research has also found that, in recent months, some social networks have made users feel worse as a result of spending time on them. 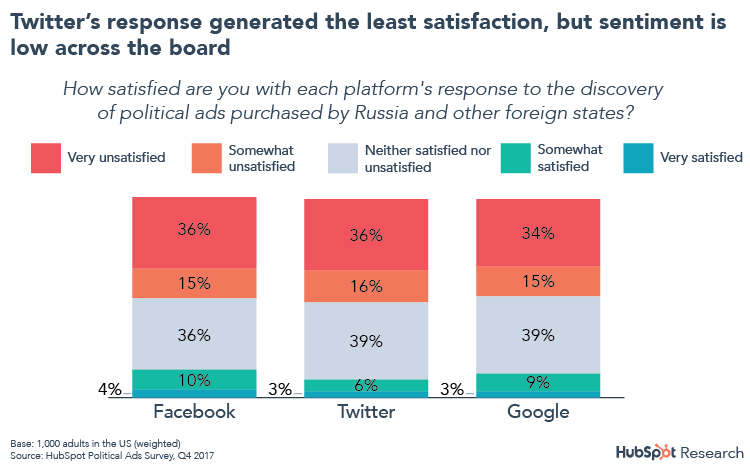 And while results indicate that Facebook overwhelmingly instills the most negative sentiment, Twitter is directly behind it. Twitter is the first social network to actively request the public’s help in identifying solutions to these ongoing issues. And while Facebook has tested some methods of user feedback, like the ability to flag or downvote abusive content, no other networks have gone quite so far as to call for formal proposals. Shared Attention — an indication that the conversational topics taking place on social media overlap. Shared Reality — an indication that these conversations are grounded in the same facts (not to be confused with the same opinions). Variety — an indication that while these opinions may contrast from each other, they are still grounded in the aforementioned shared reality. Receptivity — an indication that we are “open, civil, and listening to different opinions”. The deadline to submit a proposal is April 13, 2018, which applicants can do here. Those selected to participate in the study will work alongside Twitter employees on the research, with access to public data and “meaningful funding” for the organization completing the work. As always, we’ll be monitoring the process as it unfolds. Our company offers professional technology services, designed to lift your business up and promote your products to attract potential customers.